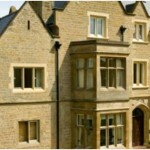 Secondary glazing is a simple and cost effective solution that will improve the thermal efficiency of your building, will reduce noise transfer due to its’ good acoustic properties and can also provide you with additional security; all without replacing your primary windows and still maintaining the character of your building. For this reason our secondary glazing is particular suitable for use in conservation areas or in listed buildings and does not need to be installed to the whole building, it can be installed to one elevation or one room depending on your individual requirements. The frames can be fitted directly to the existing window or frame or independently of the frame and can also be installed in timber frames which will enable them to blend in smoothly when being used with existing timber windows. Our frames are an independent glazing unit that that is installed on the room side of a window with a gap between that will vary according to the level of thermal and noise improvement required. 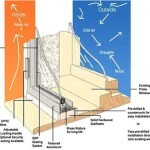 Where noise insulation is a primary factor the gap will normally be wider. Here at Acorn Aluminium we can provide you with an almost unlimited variety of options with our secondary glazing systems which may be applied to casement windows, sliding sash windows, fixed panes or doors. The secondary glazing system may be hinged to provide you with ventilation and full access and enable their use in bay windows or fire escapes, they may also be fixed with no access or may be in a lift out form where only occasional access behind may be required. A combination of one or all of these options is available. Where security is required to be incorporated, strengthened frames can be used in manufacture along with high impact glazing and/or glass film, giving you a more pleasing option than bars or grills. Acorn Aluminium provide an secondary glazing systems that are easy to install, are slim and discreet, and are available in plain aluminium finish or to a colour of your choosing. In addition to the benefits of thermal efficiency, noise reduction and security, through the use of mesh screens, secondary glazing has the benefit in summer months of enabling air to enter the building or room whilst also keeping unwanted insects out.